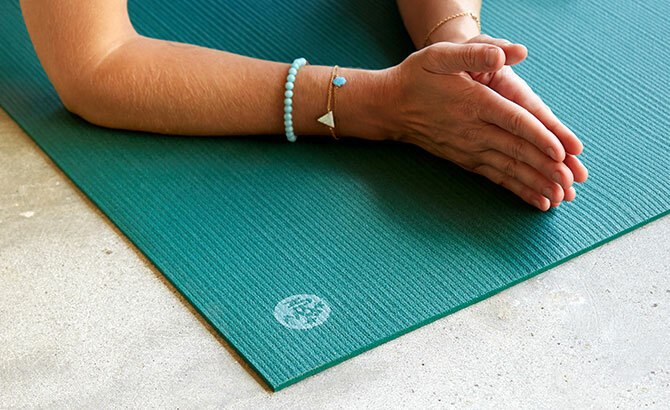 Whether you perform yoga daily or you are a dabbler, getting the right yoga mat is highly essential. The best mat is the one which provides extreme comfort between your body and ground, helps in cushioning your hips, knees, and elbows when you are doing various moves. Your yoga mat should be able to make to give you enough space. Don’t even try to think about renting the mats as they contain loads of germs. Learn about getting your very own mat from the market and don’t forget to keep following few things in mind while purchasing a yoga mat. One of the cheapest options is a 1/8-inch-thick layered PVC yoga mat. As you go for the high-quality stuff, outstanding designs, top brands, and excellent types of materials, the price tags will start to rise. Some mats cost more than $100. Just keep one thing in mind – you don’t want to fall prey to the cheap quality materials (which may not be more than $10). Spending your money to get a reliable mat is very important but going after too fancy options is not a wise approach either. 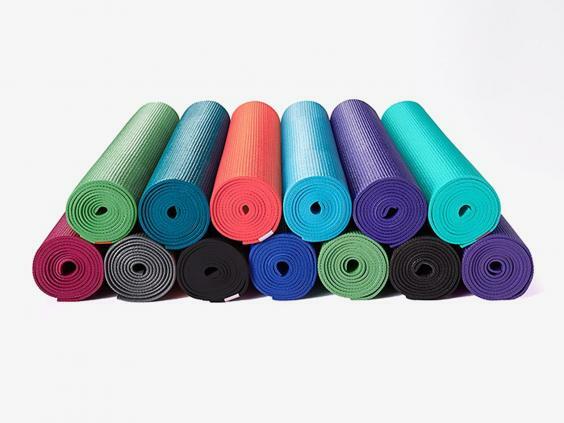 Most of the yoga mats are manufactured with a special type of plastic named PVC or polyvinyl chloride, which helps you to avoid the slippage and is available at affordable rates. Unfortunately, PVC is not an eco-friendly material and is very hard (too pricey) to recycle. Thus, keeping in mind the environment-friendly approach, look for the better options and select a material such as recycled rubber, cotton, jute or a tree-extracted substance like bamboo. Usually the standard mats have the thickness of 1/8 inch which offers the full support to your body posture, but you may feel yourself touching the ground. Some of the travel mats (which are light-weighted) are commonly 1/16 inch in thickness and do not take much space in your suitcase. For those people who need a cushioning support (like those who need the support for their knees so they do not fall off during the crow pose), require a bit thicker mats like the ones of ¼ inch. To avoid the slippage and sliding during yoga moves, a sticky yoga mat would serve you the best. 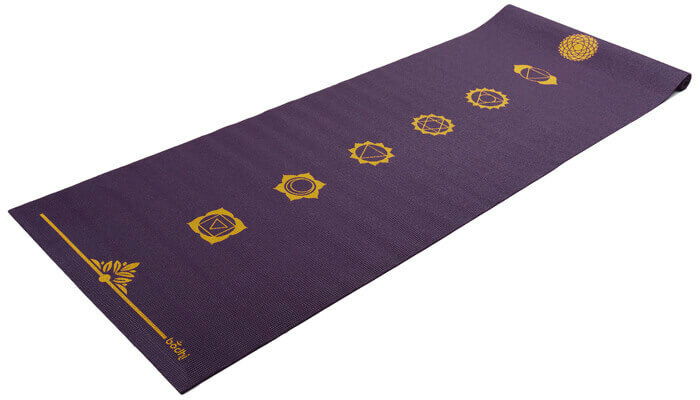 Most of the PVC yoga mats are super sticky, and some even consist of the fabric attached to their tops and have a decorated bottom to help you in the placement of mat. However, many other eco-friendly mats have a particular texture which helps in avoiding the slippage and are usually made up of the slip-resistant rubber. The texture of your yoga mat also plays a very important role in determining how often it slips. 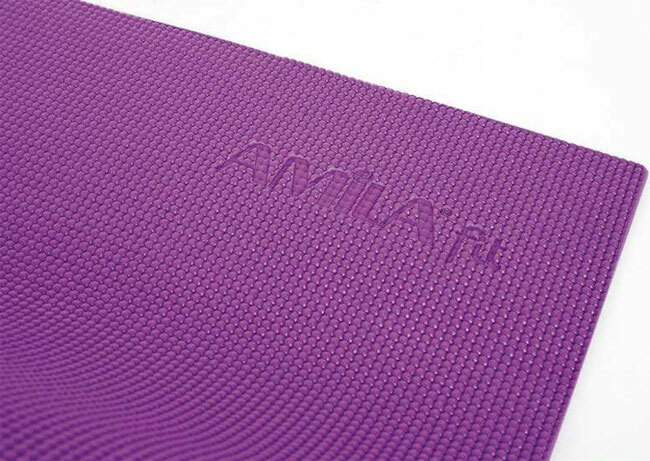 The PVC yoga mats are much softer as compared to other mats (like the one made up with jute, or bamboo). Typically, the length of a yoga mat is 68 inches. There are some mats which can be super stretched for those people who have long legs and need extra space.